Hearing loss is a relatively widespread condition affecting approximately 1 in 6 Australians. With the advent of loud recreational noise sources, such as MP3 players, and the ageing population, it is expected that 1 in 4 Australians will be affected by 2050. The term sensorineural hearing loss means hearing loss originating in the sensory organ (the cochlea) or the auditory nerve. This occurs when the hair cells in the cochlea fail to generate electrical signals in response to sound, or the auditory nerve fails to receive and transmit these electrical signals. It is the most common type of hearing loss and becomes increasingly common with increasing age. As our ears age, the hair cells inside the cochlea begin to breakdown due to years and years of exposure to noise. The hair cells that detect high-frequency sounds, being positioned at the start of the cochlea and thus exposed to a greater number of sounds, tend to degrade first. 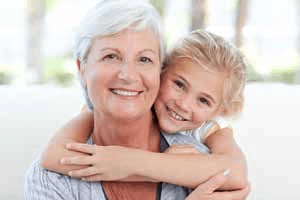 For this reason, high-frequency sensorineural hearing loss is increasingly common with increasing age. Sensorineural hearing loss may also be caused by exposure to excessively loud noises. Loud noises (above 85 decibels) have the potential to damage the hair cells in the cochlea through the force of their vibrations. Over time and through repeat exposure these loud noises cause permanent damage to the hair cells resulting in permanent hearing loss. Symptoms may include ringing in the ears (tinnitus), dullness of hearing, and difficulty hearing in noisy environments (cafes, restaurants etc). Power tools, amplified music, and firearms are three common causes of noise induced hearing loss. There is a wide range of other causes of sensorineural hearing loss. Genetics, certain medical conditions (such as Meniere’s disease), viral infections, and even some medications can all cause sensorineural hearing loss. 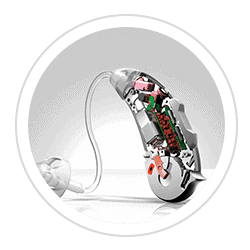 The term conductive hearing loss refers to hearing loss resulting from poor conductance of the sound to the inner ear. In conductive hearing loss, the inner ear is deemed to be healthy but sound is unable to travel to the inner ear at a normal volume. Like sensorineural hearing loss, conductive hearing loss can have a wide range of causes, some of which may be treatable by a medical professional. Ear wax blockage may cause conductive hearing loss. 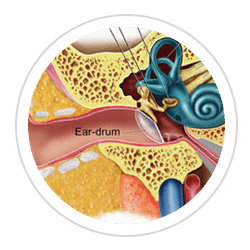 It is normal for the ear canal to hold a small amount of ear wax, however if ear wax begins to build up it may partially or totally block the ear canal resulting in conductive hearing loss. Excessive wax can be removed by a doctor or an experienced audiologist. After wax removal hearing should immediately return to normal. Wax removal is a service offered by our experienced audiologists at Canberra Audiology. Middle ear infections are a common cause of conductive hearing loss. In a middle ear infection the middle ear cavity fills up with fluid and mucous preventing normal conductance of sound through to the inner ear. In a majority of cases, middle ear infections are easily treated with antibiotics. In the event of recurrent infections or complications, minor surgery can reliably and successfully resolve most issues. Other causes of conductive hearing loss include perforated ear drums, medical conditions such as otosclerosis, and head injury. 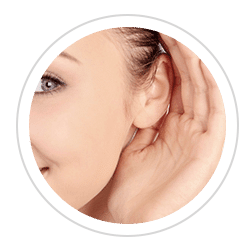 Hidden Hearing Loss – This is a type of hearing loss caused by minor amounts of damage or degradation to the inner ear. In these cases, damage to the hair cells in the cochlea is minimal and too insignificant to be detected in a regular hearing test, yet it is significant enough to impair hair cell function and reduce hearing clarity. Symptoms often include significant difficulty understanding speech in noisy places or when multiple people are talking, yet no difficulty understanding speech in quiet environments. Because this type of hearing loss is not detected during routine audiometry, it is called a “hidden” hearing loss. Loud noise exposure is a common cause of hidden hearing loss. Central Auditory Processing Disorders – Often abbreviated as CAPD, auditory processing disorders are not technically a loss of hearing but are instead a difficulty or inability to process auditory information. These types of hearing loss originate in the auditory nervous system and in the brain and are present even when the ears are completely healthy. Symptoms of CAPD include difficulty hearing in noisy environments, difficulty following verbal instruction, inability to locate source of sounds, poor auditory pattern recognition, and poor academic progress. CAPD is more common in children than it is in adults. While many children grow out of CAPD as they develop, many children will also require auditory training in order to improve auditory processing skills.